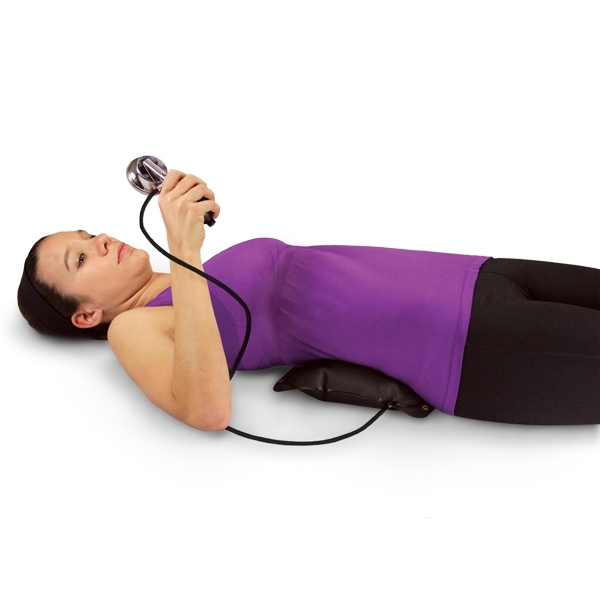 Perfect for home use and between clinic visits, the Lumbar Decompressor lets users decompress the lumbar spine in an easy and effective way. Non-returnable. Inflation gently increases space between vertebra and stretches the lumbar spine reducing nerve compression, improving the hydration of lumbar discs, and facilitating lasting pain relief. 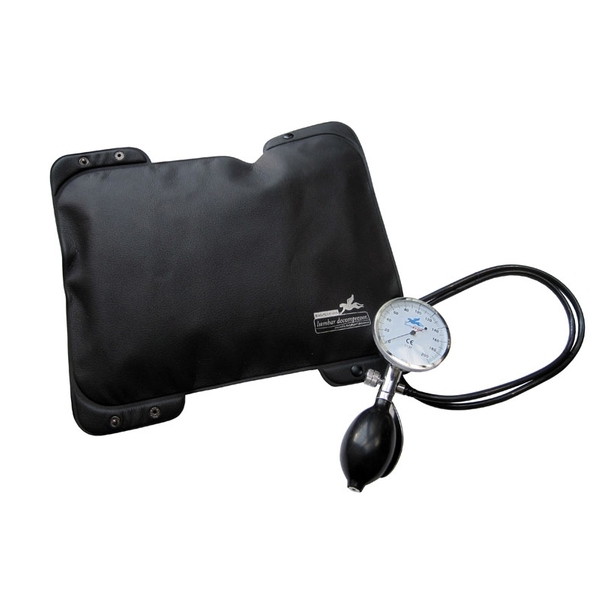 Model includes rubber inflation bulb, graduated pressure gauge with 2mmHg increments, and relief valve. No assembly required. Inflation bulb contains latex.